Find a vacation home to rent in Tim from our list of vacation rental properties. Campaya has over 13 vacation homes available in Tim, which give you the possibility to locate a unique accommodation in Tim which completes your check-list in search for the perfect self catering vacation apartments in Tim or vacation villas in Tim. This holiday home is located near the magnificent dunes at the Ringkøbing Fjord and serves as a perfect base for an unforgettable holiday. The west coast of Denmark with a variety of offerings is the ideal destination for those who seek an active holiday. 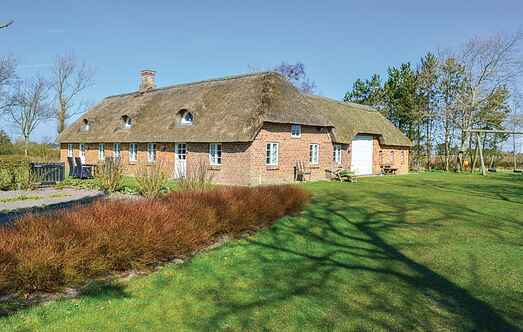 This holiday home is an absolute treasure and is situated in the midst of the plentiful nature in Western Jutland. This comfortable holiday home is situated in a quiet environment, surrounded by a natural, open landscape with a wide horizon. If you want to spoil yourself, this carefully renovated farm built round a quadrangle is the perfect place. There is a flagged farmyard. This spacious holiday home is located close to the North Sea and Ringkøbing. "Skelmosegaard" is a charming holiday home dating back to the 17th century. that has been restored, and is regularly decorated, with respect for the original building's unique style. This cosy holiday home is situated far from the crowds and noisy music and offers accommodation for six people. The house is well furnished.